Such a cute dress! 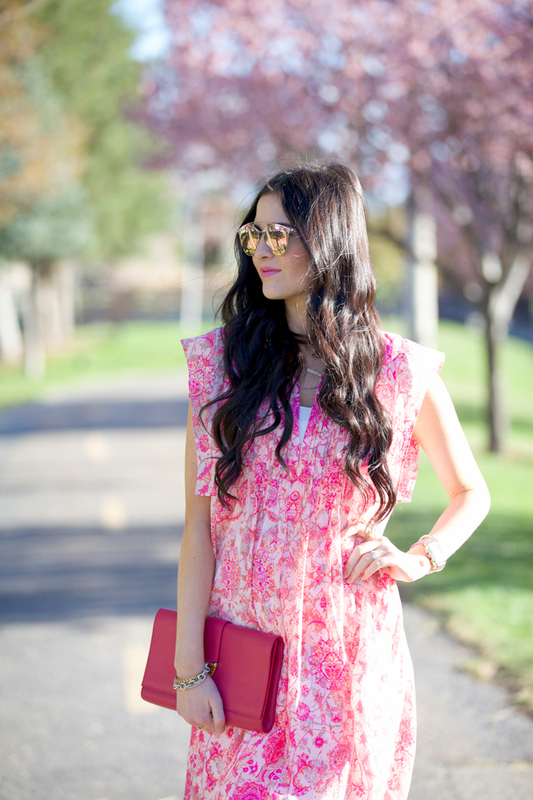 I love how light and flowy it is – perfect for summer! Thanks Annessa! Ya I bought it because of how light and flowy it is :) Thanks for reading! Looking stunning in this Spring perfect and absolutely adorable outfit! This is SO pretty, Rach! I love your dress!! Loving the print on this dress. So chic! This dress is divine! You look so radiant! Your outfit is as pretty as spring! Beautiful and so perfect for spring! Thank you Arianna!! I use a Canon 5D MarkII with a 50mm f1.8 lens. Those sunglasses are so beautiful!! Perfect for summer! Cute dress! Love the pink! Love this look! And the lighting in these photos is so pretty! Very pretty dress, Rach! I love the print and how flowy the fabric is. Great pick! Such a beautiful dress!! Rebecca Taylor is easily one of my favorite designers. Such fun and pretty designs! 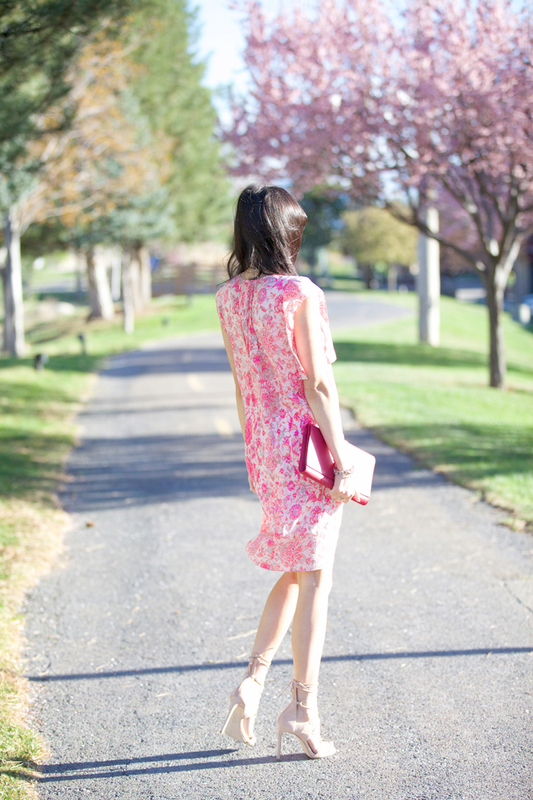 Love your dress, it’s so perfect for Spring! As always, you look amazing :) BTW, I’m excited for your new line to come out. That dress is gorgeous! I loveit! Love your sunglasses, they are ADORABLE! Pink for the win, always! You look gorgeous! I love this romantic look! The print almost reminds me of fine china, but in an updated way. And I love the subtle yet unexpected pleating at the top! Such a girly dress! Love it!! Such a gorgeous pink look, I want all of your clothing haha ! Especially all of your pink pieces – they are always such the best ones ! Love that the ankle straps elongate your legs here instead of making them shorter as most ankle strap shoes tend to do! WOW! I love your outfit. The dress is amazing, the shoes are awesome and the bag is absolutely gorgeous! Plus, the sunnies are definitely on my wishlist! Loving this bright colorful dress!! That is such a perfect spring dress, I love it! Love this all-over pink look on you with your dark hair! Gorgeous! Such a cute dress and I’m loving that bag!! We wish you continued joy and happiness as you grow your gorgeous family. We love your style and inspiration you provide to so many.